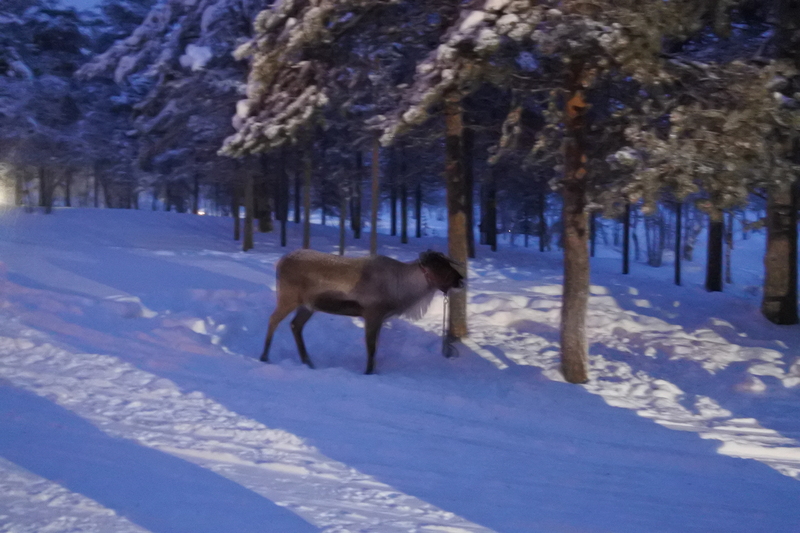 A few weeks ago we visited Lapland. 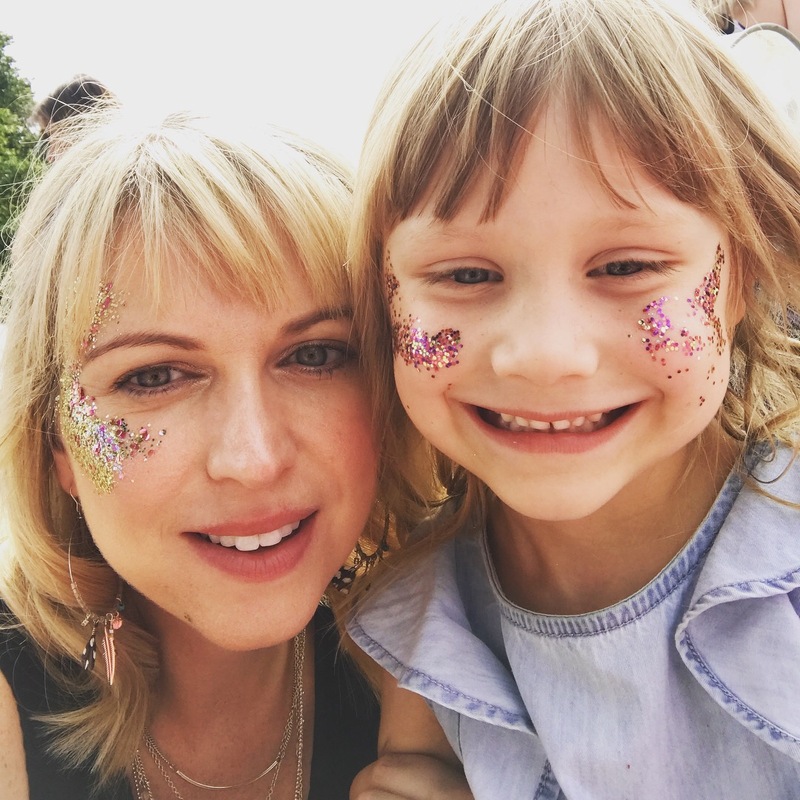 We felt the kids are a perfect age to really experience the magic. 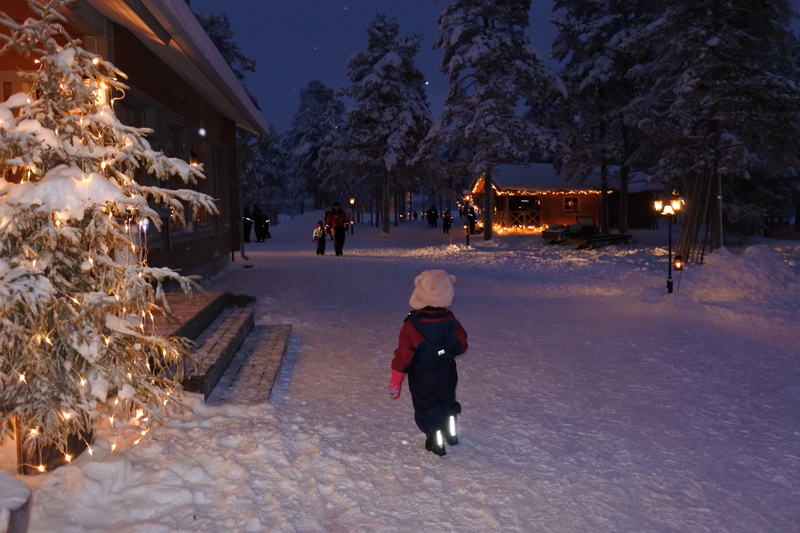 We booked the Enchanting Day Trip to Lapland with Canterbury Travel. 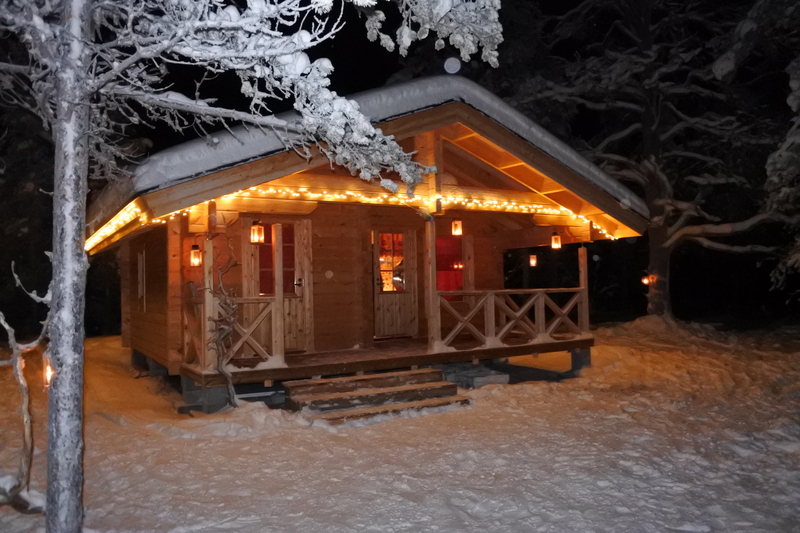 We’d spent a bit of time researching and the reviews from those who had done Lapland with Canterbury Travel were really good. We also really like the fact that you were transferred to the activity area by sleigh rather than coach. We didn’t tell the kids in advance as we wanted to them to have a good nights sleep the night before and we’re more worried that if they were too excited they wouldn’t sleep. 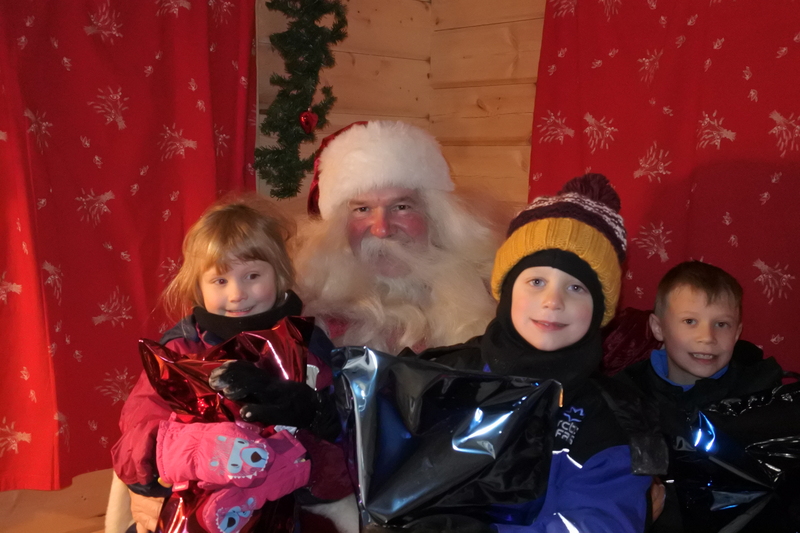 We woke them up at 5am with a letter from Santa invited them to visit him in Lapland! They were so excited. 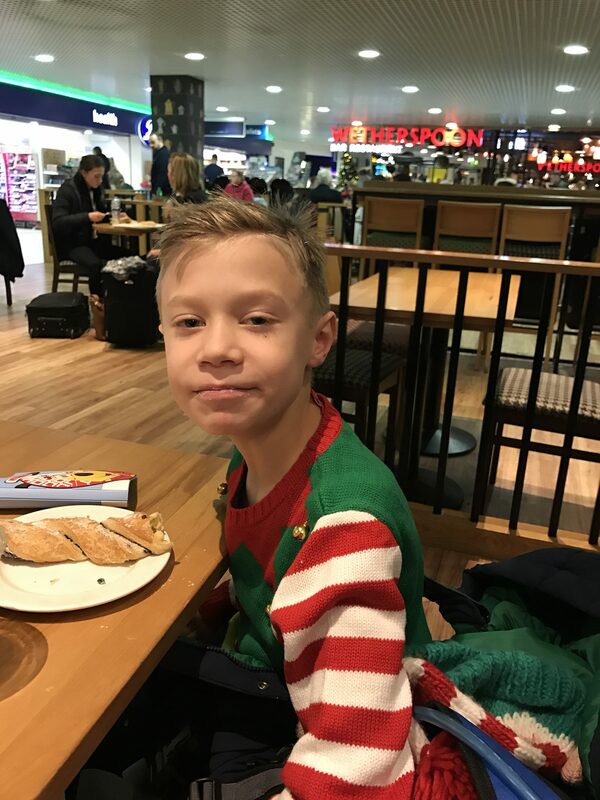 After quickly getting dressed, we jumped in the car and headed to Birmingham Airport, which is about a 45 minute drive from our house. We’d pre-booked parking, so we were really close to the main terminal. Our flight was scheduled for 8am. Check in was quick and easy and all the staff we nice and jolly. The kids were all given festive passport wallets. Security was also quick and easy and after a quick pit stop at Costa, it was time to head to board the plane! 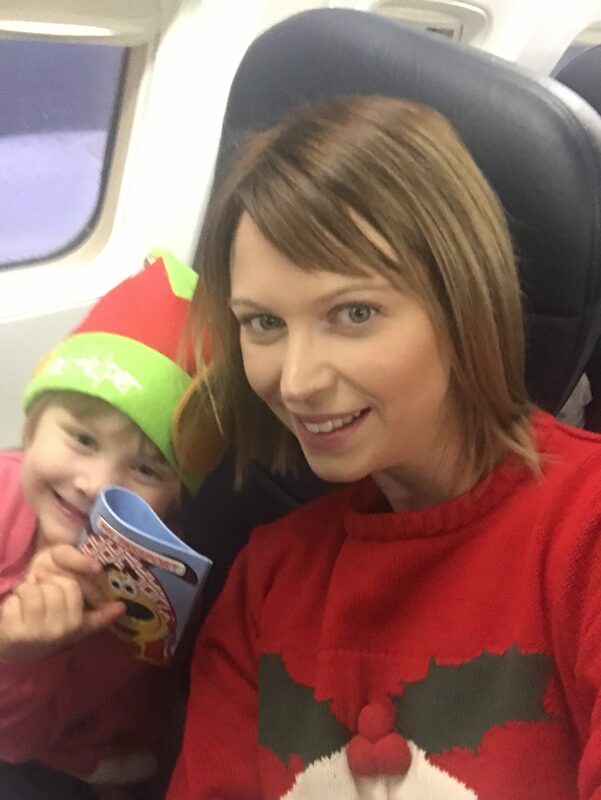 The cabin crew were very jolly and were all wearing festive reindeer headbands or Santa hats and helped us get settled. Once we were in the air, we were given a lovely cooked breakfast. The flight took 2 hrs 40min. We took iPads to keep the kids amused during the flight. When we arrived we got off the plane pretty quickly and ended to passport control. After a short wait outside in the snow, we were through. 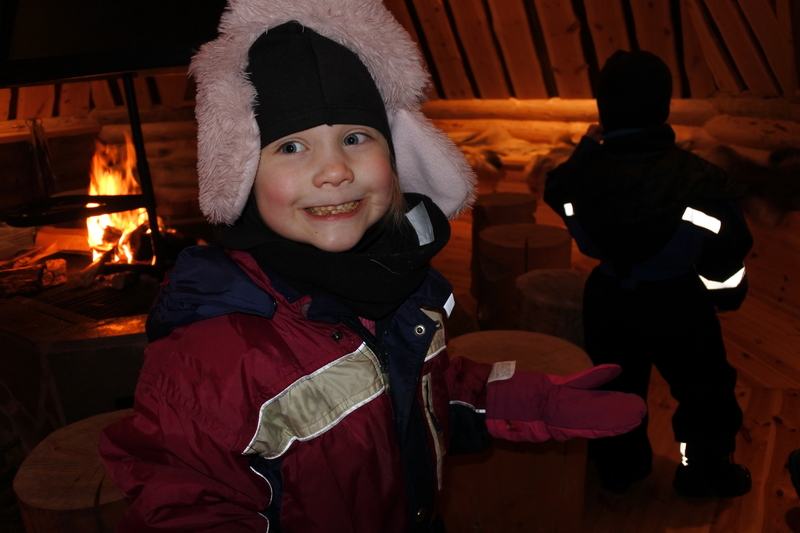 We were then ushered into a large warehouse where we were given snowsuits and snow boots. Getting everyone togged up was a bit stressful, but with 4-year twins was to be expected. 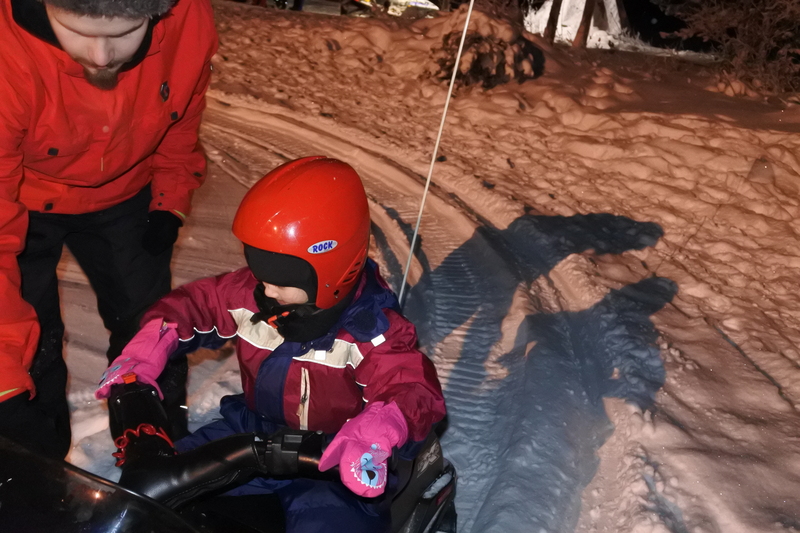 Once we were ready we headed outside to get out sleigh transfer, pulled by a snow mobile. You are given a balaclava and a helmet to wear. The journey to the main area takes about 20 minutes and was very special. The scenery was beautiful and it really set the scene for the day. 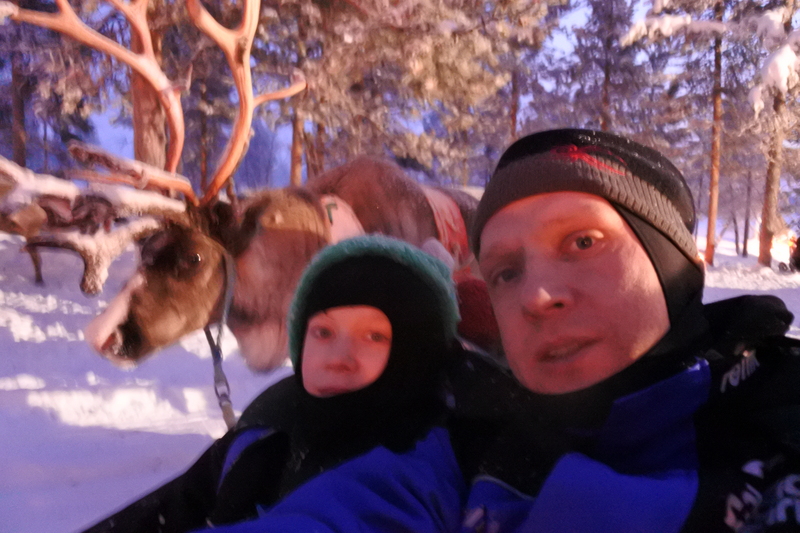 Although our sleigh broke on the journey, so we had to swap, but it wasn’t really any trouble. Once we arrived we were told to register to get a time for santa, which we did. We were told it would be about an half hour wait so we decided to have a wander round. We kept popping back to see if it was our turn but santa was very busy so the wait turned out to be a little longer. 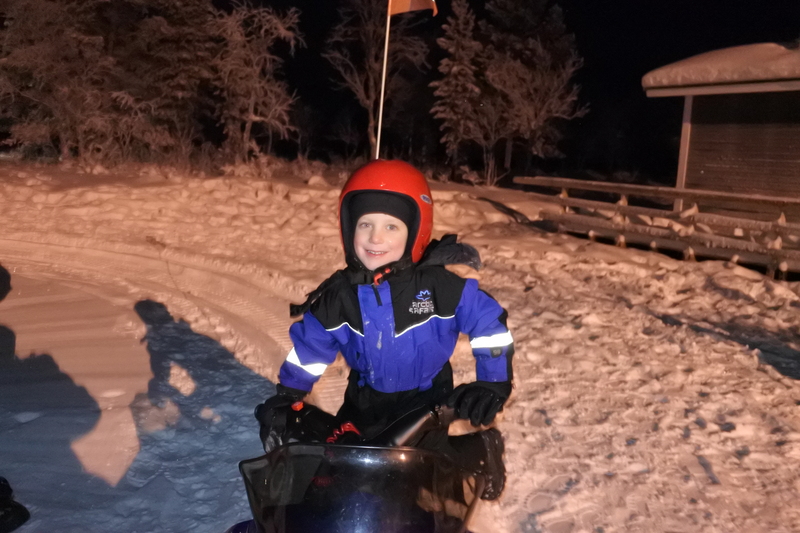 Whilst we were waiting we went on a reindeer sleigh ride and the kids went on the skidoos and did some taboganning. They were so excited by the snow and we spent quite a bit of time just playing in it. Henry had some issues with his gloves. He hated the mittens I’d bought him so spent the first half hour having a strop, winging and basically not being happy. We were worried that this might spoil it, but I ended up giving him my gloves and all was fine. Luckily I had glove liners, which helped keep a bit of the chill off!! After about an hour we went back to where we had registered to see Santa and it was finally our time. 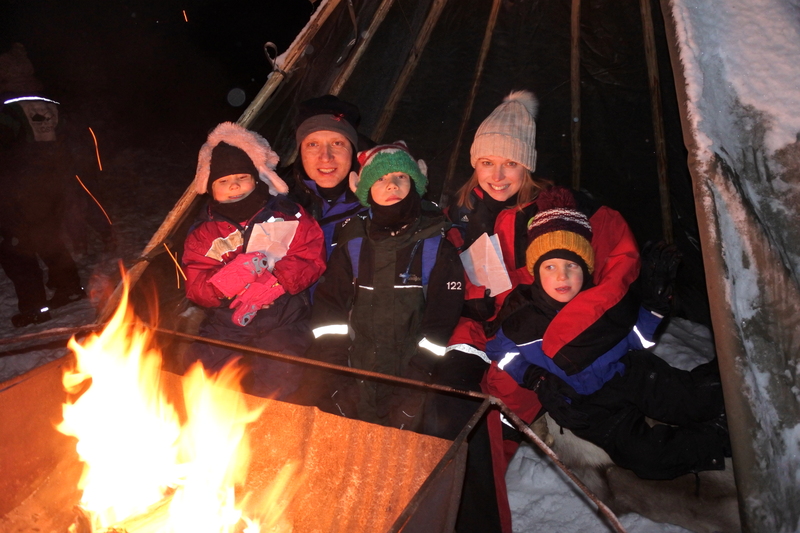 We were ushered into a wooden hut with a fire pit and told that we’d be called when it was time to have our sleigh ride to Santa’s cabin. 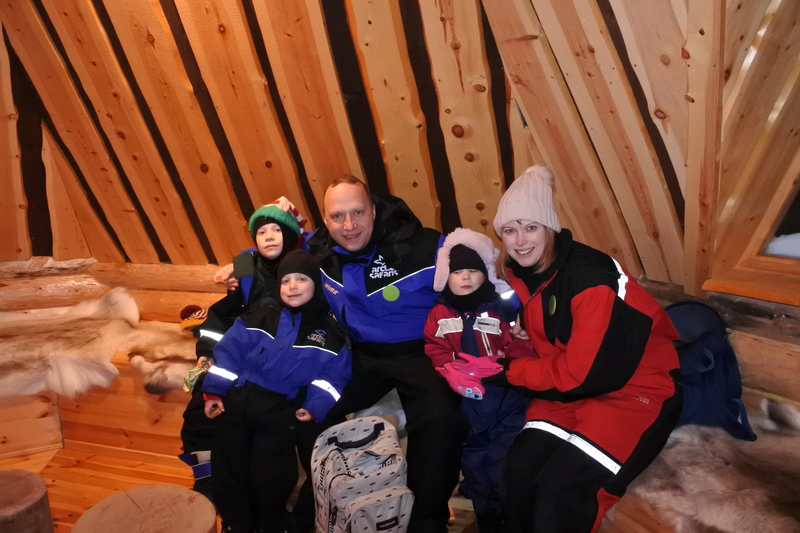 It was nice to warm up and gave us a chance to have some family photos and have a little snack (we’d packed some cereal bars and sweets to keep us going). After about 10 mins it was time! 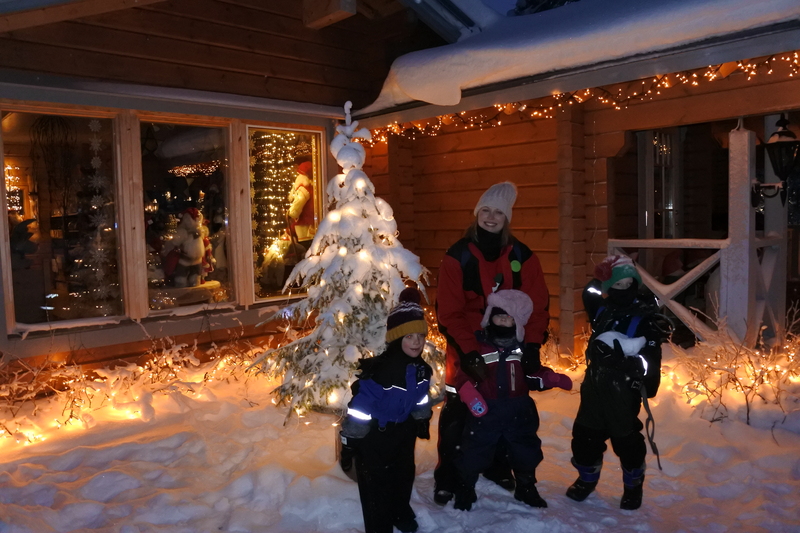 We headed through the woods to our sleigh and we’re taken a few minutes to santas cabin. After a waiting in a warming tent, where we sang Christmas songs we were sent up some steps, where we were greeted by two elves. 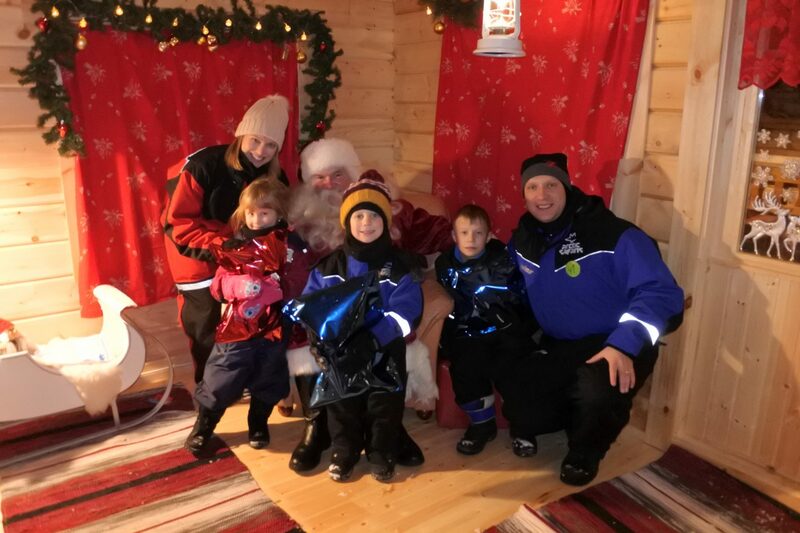 After a short wait it was our time to meet Santa. One of his elves took us is and he was amazing. 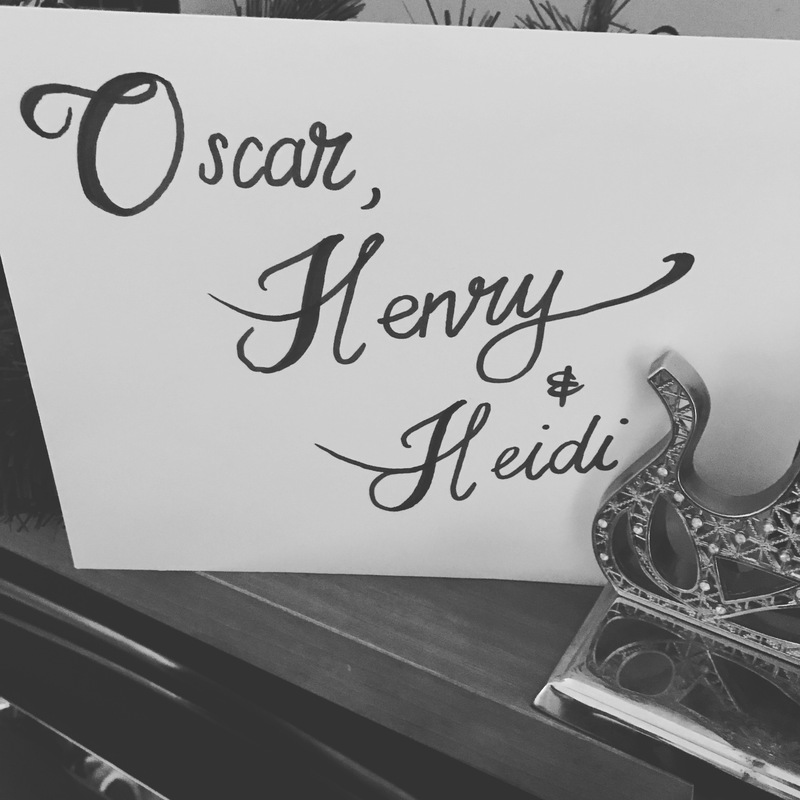 He knew all our names and also knew that Henry & Heidi were twins! The kids all gave him their letters, which he opened and added to his pile. He then gave everyone gift and posed for lots of photos. 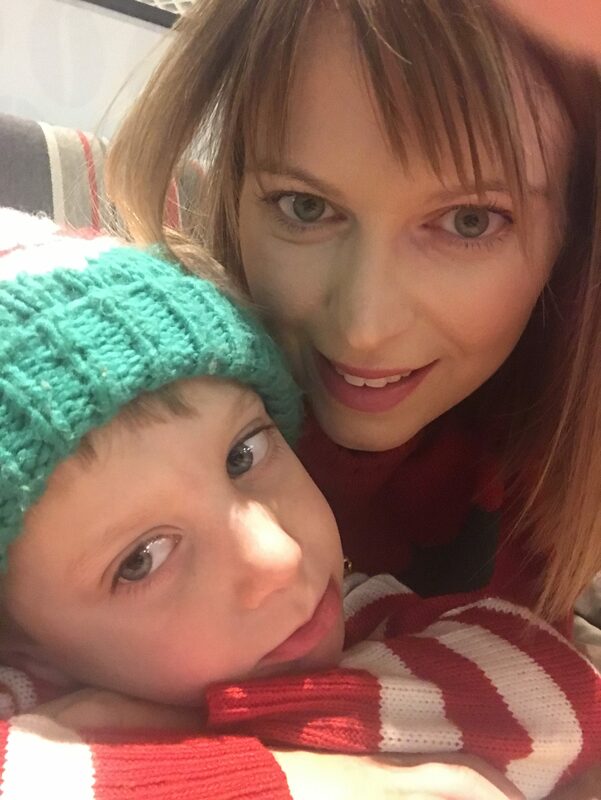 The santa experience was brilliant. We weren’t rushed and it was very magical. 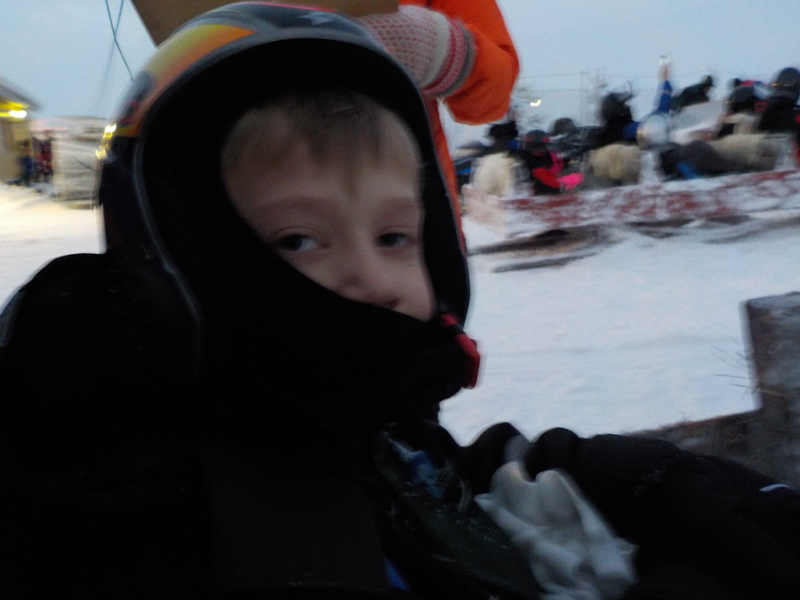 We then headed back down the steps and back into our waiting sleigh to be taken back to the activity area. By this time we were all starving, so headed to the restaurant, where you could help yourself to soup, bread, pasta, bolognese sauce and potatoes. The food was nice and hearty and was just what we needed. For pudding there pancakes, cream and jam – yum. There was also plenty of berry juice and hot chocolate. Whilst we ate dinner the kids opened their presents, which were pillow pets – perfect for the flight home! After lunch we had about 11/2 hours left before our transfer back to the airport. 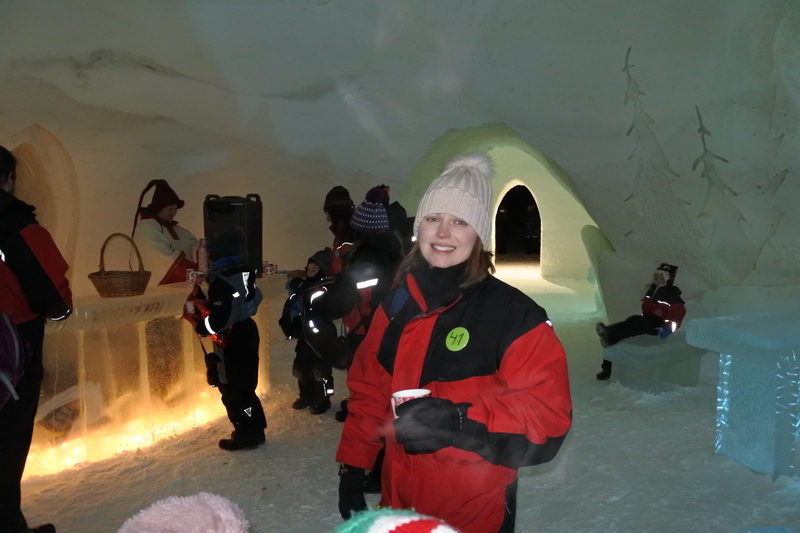 We decided to head to the ice castle/igloo, which was lovely. 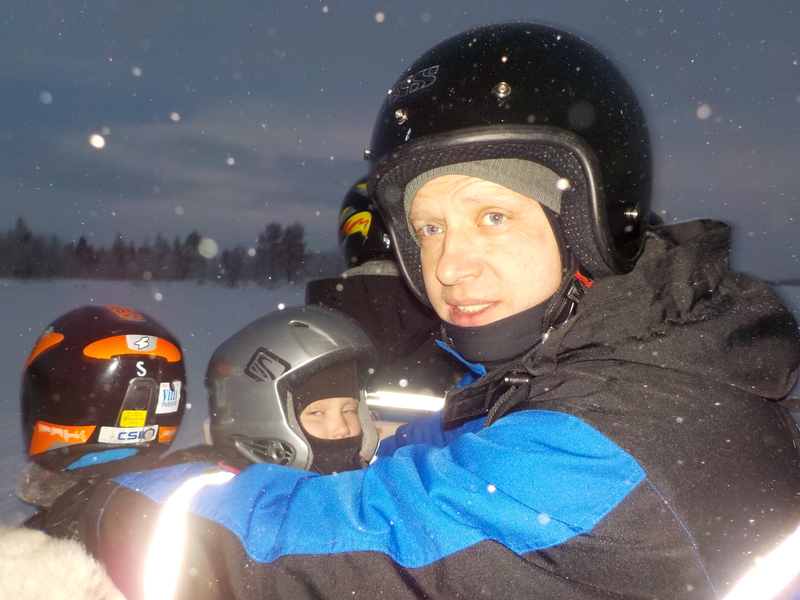 We also queued for the husky sleigh ride, but the queue was really long, so we ended up leaving the queue as Simon and Oscar were keen to go on the snow mobiles and we wanted to get souvenirs from the shop. We also need some sledging, which was great fun. We purchased a few momentos from the shop – Christmas baubles, soft toys etc. 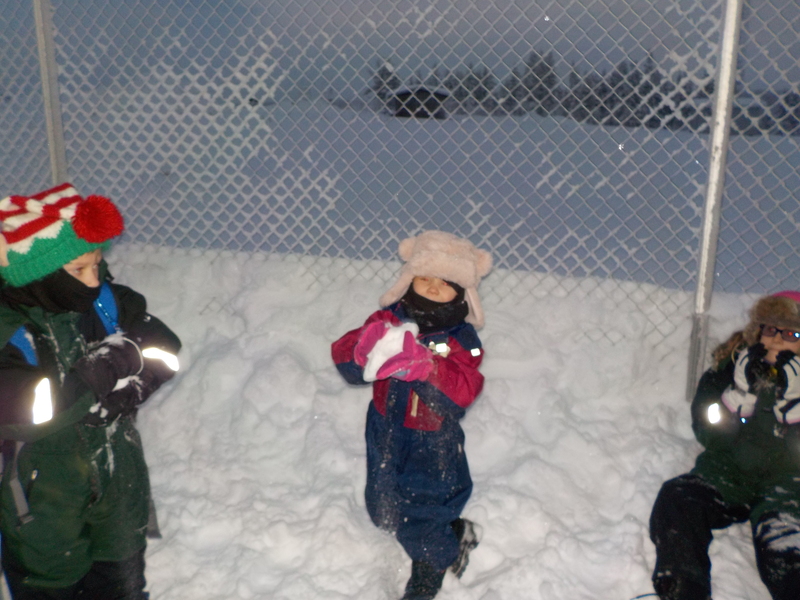 We had just enough time to have one final play in the snow, before getting our coach back to the airport. We had an absolutely amazing day. 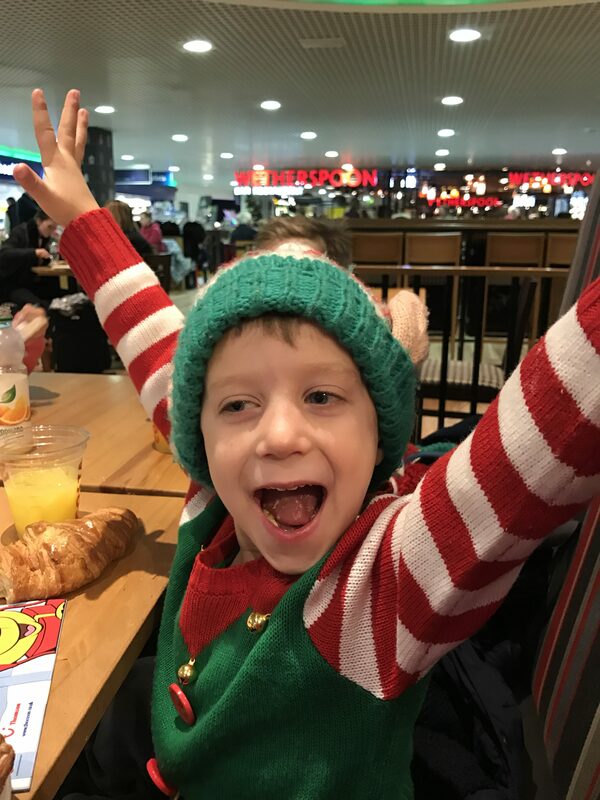 The activities and lunch were all unlimited, unlike many other experiences we’d looked at and the sleigh transfer on arrival really made it for us. Santa was also amazing. The only thing that could’ve made it better was being able to do the husky sleigh ride, but maybe we just didn’t plan our time very well. It’s a day we’ll treasure forever. 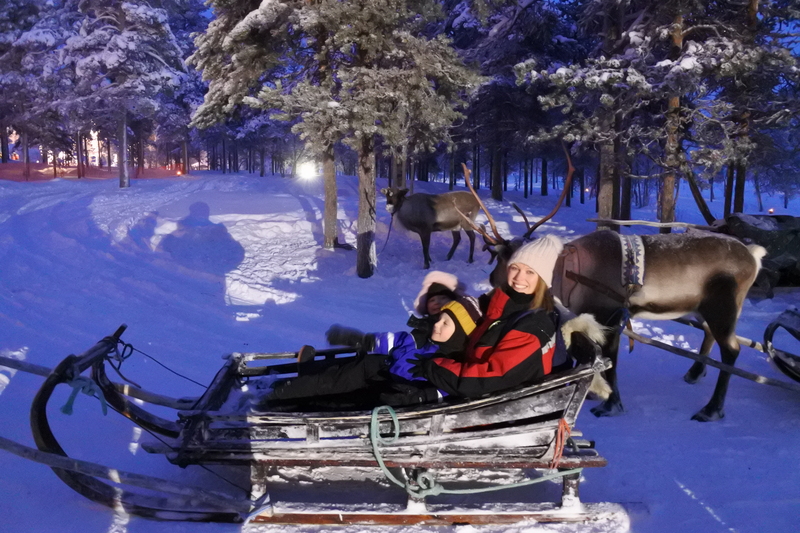 I’d highly recommend Canterbury Travel if you’re looking for a magical Lapland experience.